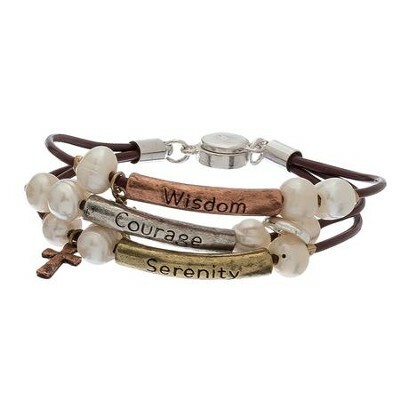 Inspirational fashion bracelet features three row cord with tri-tone bars engraved, Wisdom, Courage, Serenity, bead and charm accents. 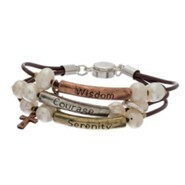 7" long brown cord with secure magnetic closure. 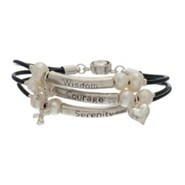 I'm the author/artist and I want to review 3 Row Serenity Bracelet, Tri-Color.